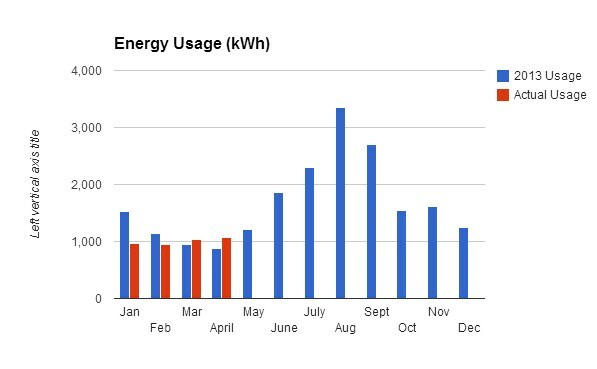 Another month has passed and I’ve received my fourth bill of the year since going on solar. I had another great month of production, actually surpassing my projected contribution and almost matching my total savings projections. I can count on at least another month or two with no bill! The city actually owes me $73.72. However, my projections for June, July and August will definitely eat this credit up fast. My usage was a little higher this month, most likely due to a vacation taken last year around this time. I plan to continue tracking these stats for an entire year. I’m still extremely happy with my decision to go green. 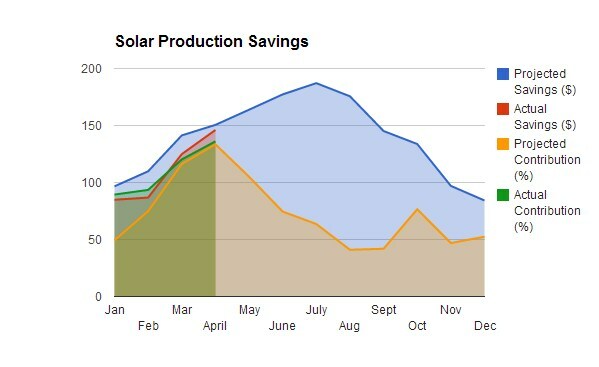 I’m hoping these results will influence others to also go solar. Great idea to go solar. I live in Victoria BC Canada and I am thinking about the same thing for my house. I have a flat roof with as big footprint. maybe like 1200 sqft footprint roof. Any idea how much would be start up costs for this size roughly? and project savings? Thanks, that sounds like plenty of space for a nice system. I have a 10.4kW system that contains 40 – 260w panels. They take up 17.6 sq. ft. each. You could probably fit 60 of these panels on your roof with some spacing. If you follow my other links at the top of the page, I have an actual proposal with costs listed for my system. That should give you an idea. I’m not an expert on these things. It also depends on what kind of credits you can get in Canada, from either the government or your local utility. I enjoy these updates. 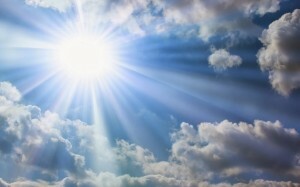 Looking forward to see how the hot summer affects your usage and energy production. $15,000 from Austin, that is quite an incentive! I’m glad you enjoy these. I like writing about how much I’m saving! Yeah, I’m very interested to see how the hot summer affects my bill. The projections show I will likely be back to paying a bill again in the summer. Austin is very generous with their program and make a lot of efforts to go green. They even banned all plastic bags at grocery stores in Austin. You have to use paper or the reusable ones now. Nice…A savings of $442.56 YTD is great, you’re on pace to save roughly $1,327 this year. Do you happen to know when your break even point will be? I did the math for our estimated savings and since our electric bill isn’t really that high, it just wasn’t a good investment for our family. Thanks, If you follow the links at the top I posted an article that shows my breakeven is about 7 years. I ran the numbers and my return on investment was much higher than anything else I could invest in including real estate and dividend stocks. You don’t have to get as big of a system as I did. The rebate for me was huge though and that can effect your returns a lot. Congratulations on going green. Getting started can be expensive, right?